Since the recovery of the real estate market after the 2008 crash, housing prices have been on the rise. 2018 was another year for the books, with home values increasing in markets across the country. In the United States, nationwide home values increased approximately 7.7% from 2017. Much of this gain can be attributed to a growing economy and historically low interest rates in 2017 and 2018. But how will raising interest rates affect new homebuyers and investors alike in 2019? This growth in home prices happened across the United States, but some markets experienced the increase more rapidly than others. A study by Clever Real Estate analyzed the top 10 fastest-growing housing markets (in major cities) and found some significant trends. However, just because home values increased drastically between 2017 and 2018 doesn’t mean the same is likely to happen in 2019. Many real estate investors are not only turning to traditional rentals for their newly purchased properties, but are using services like Airbnb, VRBO, and other rental platforms to leverage their possibilities, giving them the best possible return. In many of these top 10 markets, according to Mashvisor data, the Airbnb cap rate beats out the traditional cap rate by multiple points, making an investment opportunity ripe for the taking. In Tampa, for example, the Airbnb cap rate is 3.45% compared to a 1.62% for traditional rentals. For potential investors, utilizing a property for short-term rentals can take a property from great to spectacular. Home prices are expected to continue to rise 7.9% annually from 2018, which is one of the fastest in the country. However, change is on the rise for Sin City as buyer demand doesn’t seem to be keeping pace with the amount of homes for sale. Statistics from November 2018 indicate there were around 7,000 single-family homes that no one had made an offer, which was a 54% increase over 2017. While Las Vegas homes are still selling at record rates and increasing in value, buyers are taking more time to buy. There are many reasons for this trend, but the simplest explanation is rising interest rates for mortgages. If rates continue to rise, buyers may wait longer to purchase homes as they save up longer for down payments or continue to rent. This situation may also present a unique opportunity for real estate investors and flippers to get an edge up in a highly competitive market. It doesn’t look like Atlanta’s growth is slowing down anytime soon. While rising interest rates are definitely a factor in any market, Atlanta home sellers have the advantage of a housing shortage. Housing inventory was down 19.7% in October 2018 from the previous year. Ultimately, when supply can’t meet demand, buyers have to compete, resulting in higher home values. New businesses are also moving to Atlanta. While Amazon chose to move HQ2 to New York and the D.C. area, the search brought renewed interest from businesses in the Atlanta metro-area, signaling potential for new rental units and renovated homes alike. Indianapolis might not be the first city that comes to mind when you think “booming real estate.” However, the Midwest city has a housing market that’s on fire due to a strong economy. Despite increases in interest rates and housing prices, though, it’s still an incredible value proposition, especially for first-time homebuyers. Indianapolis has also had a surge of tourists the last few years, increasing visitor spending and potential for investors in Airbnb rentals. The Airbnb cap rate in Indy is 3.96% compared to 2.23% for traditional renters, making short-term rental investments a lucrative proposition in the city. As the population grows in this city, housing prices will only increase as inventory shrinks. However, we don’t expect to see real estate stop growing in this market, so the time to get in is now. Already a target for real estate investors due to low-median home values and rising rents, Charlotte is on the rise. With temperate weather for much of the year and low unemployment rates, young families are flocking to this Southern city, ranking #22 on U.S. News’ “Best Places to Live” list. Charlotte home values are only expected to increase in 2019, though at a slower rate due to rising interest rates. With property investors and new homebuyers alike on the search for homes, the market is highly competitive. It’s probably not surprising that a city in California is on the list, but you may not have expected San Jose. Despite the constant talk of sky-high prices in Los Angeles and San Francisco, Zillow named San Jose the hottest housing market in both 2018 and 2019. When selling a home in California, be aware of potentially high commission rates, up to 6%. California investors should consider utilizing real estate agents who charge less, using a flat fee MLS service, or going FSBO (for sale by owner) to save cash. Like any tech hub, salaries have increased greatly, creating increased competition on an initially limited housing stock. 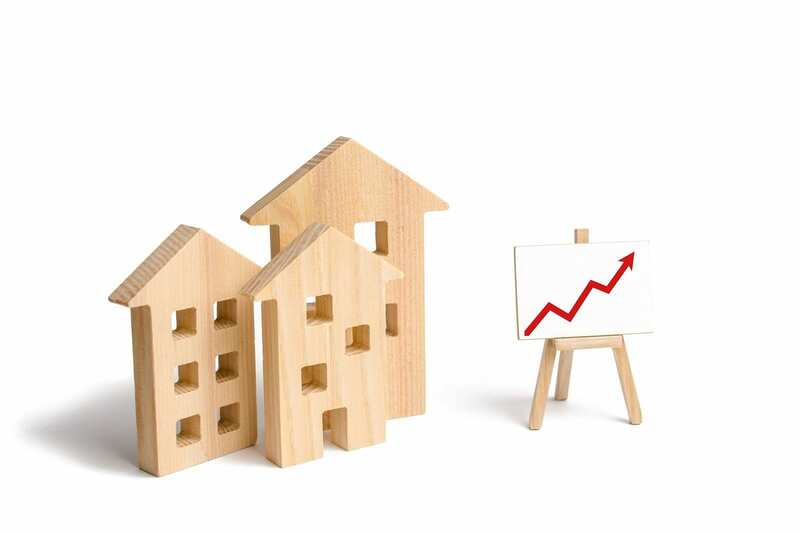 However, with population growth slowing and an increase in inventory, it seems home values will continue to rise, so it may be a good time to get in on the market. Despite the numbers for Dallas’ home value increases in recent years, it may be wise to take a second look at the market. While properties increased an average of 11.17% in 2018, sales slowed dramatically in the second half of the year. The market is getting cold as rapidly increasing housing prices are outpacing wage growth. As interest rates and home prices continue to rise, it’s possible 2019’s forecast will change, and there will be a slowdown in sales and growth. A similar story to many of these cities, Salt Lake City has had remarkable economic growth over the past few years. With a newly thriving downtown and people moving into the area, competition is fierce for new homes. However, some of the 15.1% growth from 2017 to 2018 can be attributed to a lack of available inventory. Once supply catches up with demand and new homes can be built in the area, it’s likely that pricing surge will slow down. What makes Memphis unique on this list is that there simply aren’t enough listings for the buyers. From December 2017 to December 2018, new listings dropped by 5%. Where there isn’t room for new construction and not enough homes to sell, it’s difficult for the real estate market to thrive. Memphis’s short-term rental market is also thriving. As visitors increasingly visit this Tennessee destination, there’s a shortage of hotel rooms and rental properties for guests. For investors, this presents a unique value in short-term rentals with a Airbnb cap rate of 3.78% compared to just 1.50% for traditional rentals. While home values increased 10.22% in 2018, we predict that the market will slow, as will sales, increasing competition even further. It’s the home of Blues music, and the real estate market may be playing that tune before too long. Another city with low median home values (like Charlotte), Tampa has an attractive climate, thriving economy, and low unemployment. While it’s not skyrocketing at the same rate as San Jose, we can safely predict that Tampa will continue to grow in 2019 as new homebuyers and real estate investors alike purchase in the market. Tampa is another market prime for short-term rental growth. A relatively inexpensive vacation destination, platforms like Airbnb and VRBO allow real estate investors to leverage their properties for additional profit, yielding a cap rate of 3.45% versus 1.62% for traditional rentals. In Tampa, it seems vacation rentals are the way to go for investments. You probably associate Orlando with theme parks like Universal and Disney World, not a thriving real estate market. However, this “sleeper’ market’s home prices grew 6% in 2018. A low inventory has increased competition and demand, leaving many buyers still struggling to enter the marketplace. However, inventory has risen for the first time since 2015, which indicates growth is slowing. The Orlando market is definitely one to watch, especially as its tourism market grows even stronger with the arrival of Disney World’s Star Wars: Galaxy’s Edge at the end of the year. Whether you’re looking to purchase your first home, move to one of these locations, or invest in some new properties, these 10 fastest-growing housing markets are definitely ones to watch. In many of these top real estate markets, Airbnb rentals are the smart way to invest, yielding cap rates much higher than average. This article has been contributed by our friends at Clever Real Estate.